In ten different workshops more than a hundred brilliant young architects, urban designers and landscape architects from all over the world studied for nine days some of the challenges Madrid is facing. Today Thursday 7 May they present the results. The presentation starts at 16.00-ish Spanish time (GMT+2). Madrid can be considered as an urbanscale mirror to the social, economical, political and cultural landscape determined by the global financial crisis during the beginning of the XXI century in western societies.The bursting of real estate bubble has left a local municipality in bankrupt, hitherto unseen high inequity and unemployment rates and paradoxes such as ghost neighborhoods and daily evictions or brand new infrastructures without users and empty lots in a city centre with a lack of equipments. making process? In Archiprix International 2015 Workshop these questions were raised through diverse and specific design tasks. Design teams led by emerging local practices focus on real cases and hope to arouse awareness and sometimes even discussion. 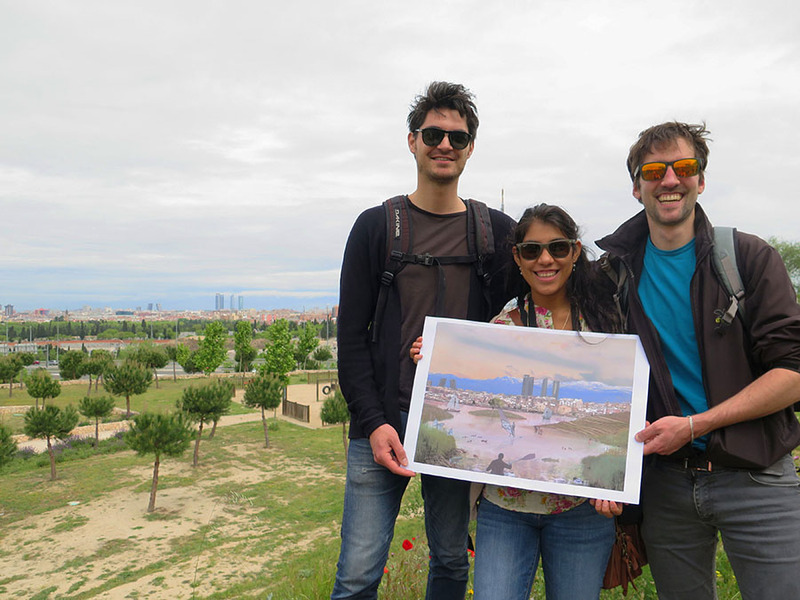 In ten different workshops more than a hundred brilliant young architects, urban designers and landscape architects from all over the world studied for nine days some of the challenges Madrid is facing. They worked days and nights on their sunjects. Today Thursday 7 May they will present the results. For all of you who can’t be here at the ETSAM in Madrid, the great Íñigo Cornago set up a live stream. Come and join us online!